Shopping for scrubs can be complicated, but shopping for men’s scrub sets makes it easier. Also, when you choose a scrub set, there’s no need to worry that the colors & fabric won't be a perfect match; the top & pants in each set are always from the same collection to ensure that they are identical in color and texture. Never again receive two different uniform pieces that looked exactly the same hue while browsing. Scrub sets save you money, too! It’s usually cheaper to buy a scrub top & matching scrub pants together than it is to buy them separately. Do the math, and you’ll see the difference! Choosing from just scrub sets won’t limit your options. There are many choices when it comes to men’s scrub sets at Murse World. We have a full selection of 50+ high quality, comfortable uniform sets from today’s most acclaimed nurse uniform brands. This collection includes men’s medical scrubs from Cherokee, Grey’s Anatomy, Landau’s, Jockey, Dickies, and many other popular companies. All of these sets come with various practical features. Pick from one that has multiple pockets, a set with side slits for easy movement, one with a drawstring waist, or whichever other features you fancy. And, being that these scrub sets were designed for males, they fit men well, and are among the best scrubs for men that you'll find. No more baggy scrub tops, and no more scrub pants that are just too short. These men’s nursing uniforms are comfy and well-fitting, just how you want yours to be. Try it out today, and you’ll see why when it comes to medical scrubs, savvy millennial medical professionals stick with Murse World! Have a question regarding sizing or fit? Contact us today at 888-501-4221; we’ll be glad to assist you in finding the male scrubs that suit you best! Murse World has made shopping for men’s scrub sets into an experience that’s easier than ever before. Search our scrub sets. Find the one you like. Buy it. Done. Instead of searching for a scrub top, and then scrub bottoms to match, many savvy male medical professionals have begun to buy scrub sets. This takes a step out of searching and speeds up the shopping experience. But if you’re spending the money on your medical apparel, you may as well spend five minutes once to find out exactly what to look for in a male nursing uniform set. Here’s a list of the five things that can set aside a scrub set from all the others. A nursing scrub set with functional, practical or comfortable details will enable you to complete tasks with optimal efficiency. Pockets on our male scrub tops or pants allow you to store essentials on hand so that they’re within reach as soon as you need them. A drawstring allows you to adjust the waist of your scrub pants to the size that fits you best, while an elastic waist adjusts itself to fit you right. Other features to look out for are back yokes, which are extremely comfortable, side vents, which allow for flexibility of movement, and an instrument loop to hang items from. In order to give off a professional impression, your scrub set has to fit right. That’s a big reason why guys prefer scrub sets for men over unisex scrub sets, although we do carry both. The best fitting men’s scrub sets to be found are usually the ones that were designed specifically for men, since these sets are inordinately more likely to fit a masculine build. 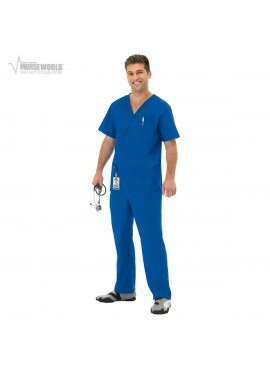 At Murse World, we also have options of short or tall men’s scrubs, so that every man can find the scrub set that fits you best. 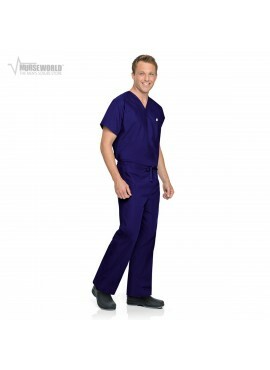 The Cherokee Workwear Tall Top Scrub Set provides the ideal fit for broader men employed in any medical field, and the Fundamentals Scrub Set comes with short, average and tall style pants. There are also athletic, modern fitting and slim fit scrub sets, which are more contemporary and closer to the body, and classic fit scrub sets, which are generally more spacious and breathable. The roomiest of them all is unisex, which is perfect for those who enjoy lots of space. A scrub set is something that will be worn time and again, during busy shifts. It needs to be durable and dependable. That’s why many experienced medical professionals stick to brands which are known for creating nursing uniforms that are the most enduring and reliable. Brands which are known to only offer scrubs with the aforementioned characteristics include Carhartt and Barco One Nursing Uniforms. 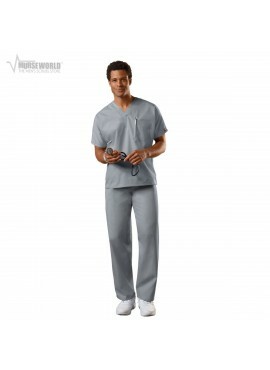 Cherokee Men’s Scrub Sets are also known for their dependability and high quality. At Murse World, we’re ready to serve you no matter how much or how little you’d like to spend, as long as you’re a man looking for scrubs. Our sets start at reasonably cheap prices: The lowest one is priced below $25.00, and prices go up until about $70.00. You can choose a scrub set based on your budget. Aside from the classic scrub set style, there are many different types of medical scrub sets for men, and none are inherently better or worse. It’s all a matter of personal preference. The most popular scrub set styles aside from solid colored scrub sets are camo scrubs, reversible scrubs, which can be worn inside out or outside in, and scrubs with raglan sleeves, for fashionable detail. Q: How many scrub sets do I need? A: 5 to 7 scrub sets is standard. This amount can be enough to last through the week, and allows you to alternate between sets. Q: How often do I need to buy a set? A: This really depends on how often you wear each scrub set, and how durable your scrub sets are. If you have 5 to 7 sets from quality scrub brands, you’re most likely to need new scrubs once every six months. Q: What’s the benefit of buying a scrub set over choosing a top & pants separately? 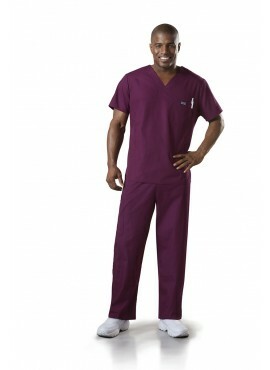 A: When you choose a scrub set, you know you’re getting a perfectly matched outfit. And it takes nearly half the amount of time to pick a scrub set than it does to choose a uniform top and coordinating pants. It’s one step less. Q: How much does a scrub set cost? A: Prices of nursing scrub sets range from about $15 for an extremely low-priced set to over $60 for designer scrub sets. Q: Are cheap scrub as good as expensive scrubs? A: Some people like spending the least possible on scrubs, but extremely cheap scrubs don’t usually last as long as ones that are averagely priced, and they can be uncomfortable and ill-fitting. If you’re looking for the best male scrub sets that are affordable, of high quality and offer functional features, you’re best off searching for a set that’s in the $25-$40 range. Q: Which store has the largest selection of scrub sets for men? 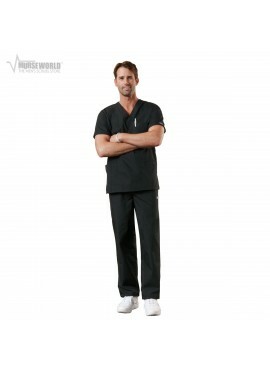 A: Murse World has the largest selection of medical scrub sets that are specifically for men. 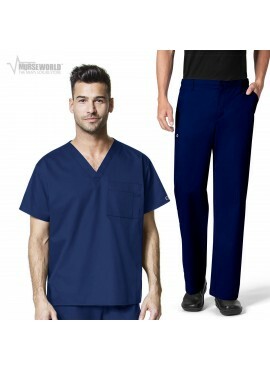 They may not have the most unisex scrub sets, but when it comes to nursing uniform sets that were designed for male healthcare professionals, no online scrub store has more options than Murse World.